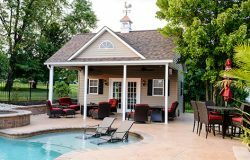 Need some space to have a party by your pool?? 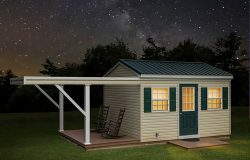 Do you ever wish for a place to get away from the rush of life and just kick back and relax?? 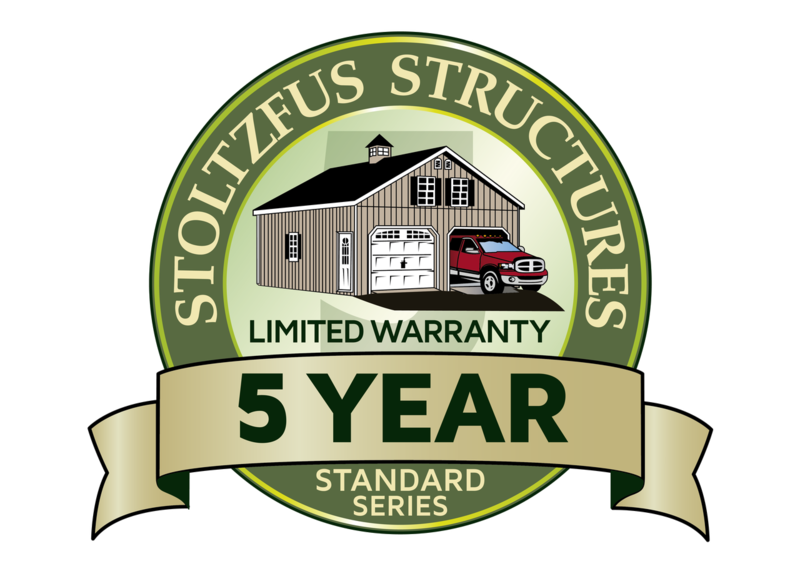 A Stoltzfus Structures pool house may be perfect for you. 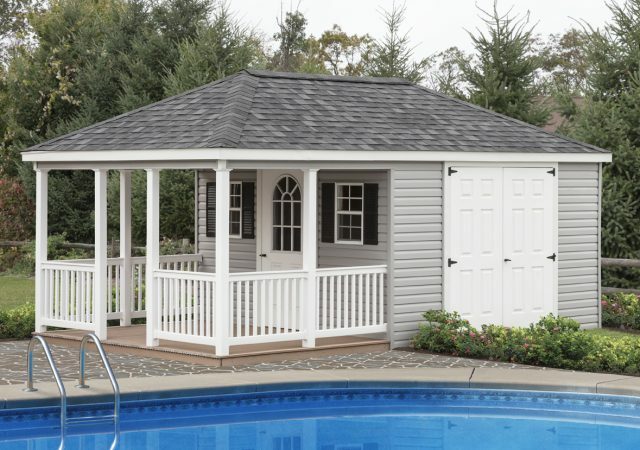 As summer approaches, many people will have their pools filled and be ready for warm weather. 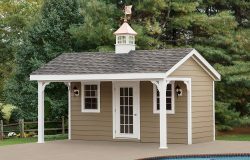 The summer months that millions of people are waiting for are quickly approaching, and that can only mean one thing, swimming! 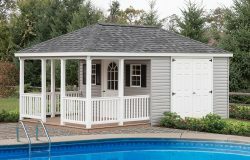 A swimming pool is one of those modern comforts that are used and appreciated by the entire family. 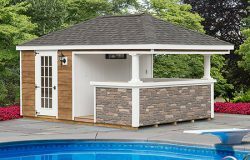 Maybe you’re planning on having your own in-ground or above-ground pool put in your backyard. 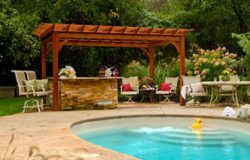 If this is the case, there are a few things to think about other than diving in to cool off during scorching hot temperatures. 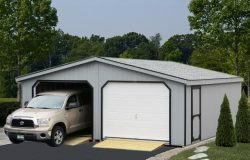 What about storage for all the pool equipment?? 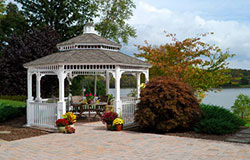 Where is a place I can get out of the sun and just relax in the shade?? 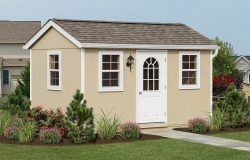 Do I have a place to keep food and refreshments close to the pool or do I need to go the house every time?? 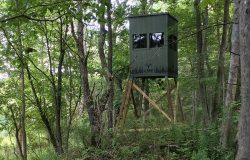 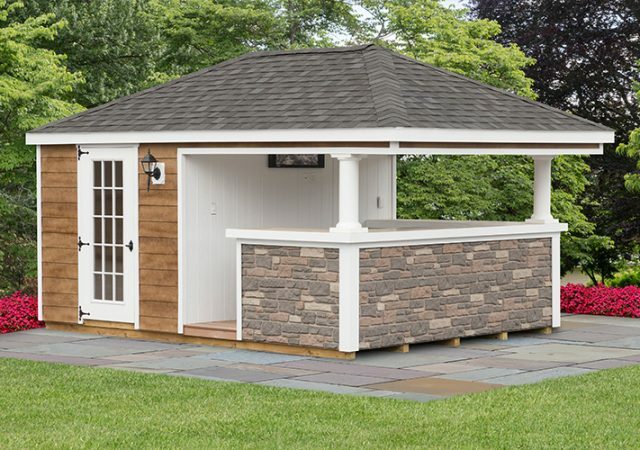 All of these questions are very legitimate and here at Stoltzfus Structures we have different styles of pool house kits that can fulfill your needs. 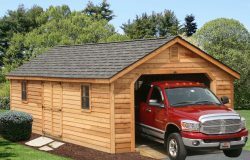 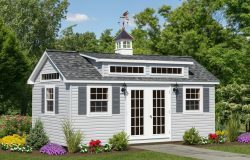 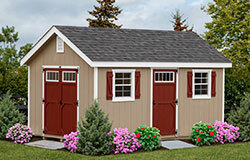 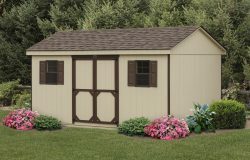 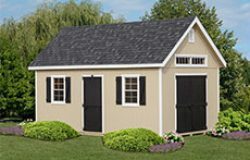 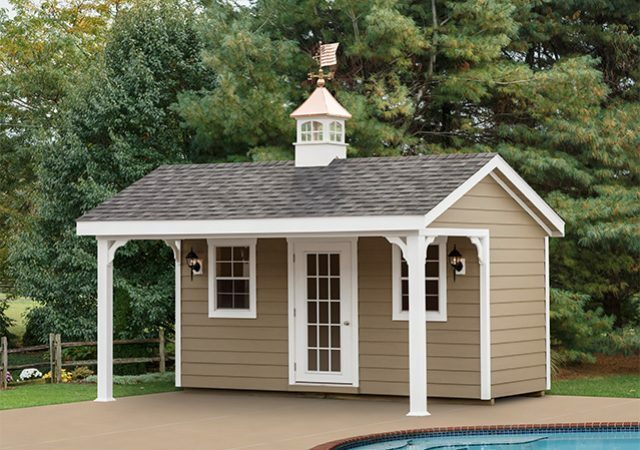 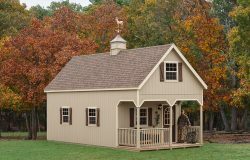 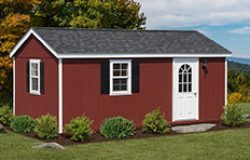 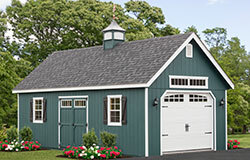 Each of our different styles of pool house storage sheds have their own unique touch and adds value to your property as you continue to add artistic touches to your pool space by purchasing one of these beautiful pool storage sheds. 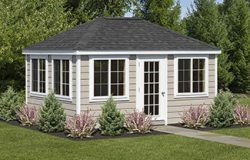 Our prefab pool houses come standard with 1 set of double doors with aluminum floor guard, two 18 x 27 sliding windows with screens and many more plans and design. 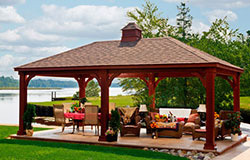 We also make beautiful vinyl pergolas and outdoor wooden structures for your pool area.